Steve Ballmer has insisted that the likes of Facebook Places and FourSquare represent 'small innovations' in the future of cloud computing, but believes that they can still make their mark. Location-based software, popularised by FourSquare and now becoming part of Facebook, represent the 'early part of the game' in terms of what cloud computing and smart devices can do, according to Microsoft's CEO. But Ballmer told the London School of Economics that even small changes can have a profound effect on the world. 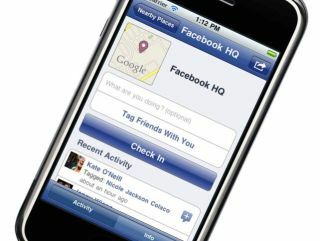 "FourSquare and Facebook Places are really a small innovation," said Ballmer. "But small innovations can have a big impact if they change the way we think about the world." Ballmer reiterated his belief that smart devices are still needed, even if cloud computing allows people to harness the power of the internet. "The cloud wants smarter devices, said Ballmer. "I think that's 100 per cent obvious now. "There was this thought that devices would get dumber as computing power moved back into the cloud, but people want smarter devices that connect them to the cloud in intelligent ways."